On leaving school in 1983 I joined a local salon in Eastbourne on a three-year apprenticeship going day release to college on my day off. I achieved my City & Guilds hairdressing with a distinction. I stayed on at college another two years for advanced hairdressing, theatrical make-up, and manicuring and basic beauty all on a day release basis while working at the salon. After leaving my first salon I worked freelance for the next three years doing Hairdressing and make-up, for local photographers and theatres and people on the go. In 1990 I Joined Topknots Hair Design Ltd. During the twenty years with that company, I worked my way up through the company I joined the management team in 1993, which led to running the Heathfield salon. I took part in setting up and open the Buxted Park studio then oversaw the running of the two units. In 2000 I joined Ian and Gaye Auburn as a Director of the studio that we opened on the Waterfront in Eastbourne, I spent 8 years building that salon up, and oversaw the sale of the Topknots company to the Great Hairdressing group and then became the operation director for that group overseeing the running of their 7 salons in Kent and Sussex. Over the 31 years of my hairdressing career, I have attended many courses and training sessions the most relevant are, The Complete 365 Business Builder Programme, ten years of S.O.T.A / Symposiums, 365 Immersion Program. For eight years I was involved in 365 as a lecturer. Weeks advanced cutting at Vidal Sassoon’s, Advanced Hair Extensions course, First Aid with St Johns and Red Cross. I have worked with Paul Mitchell ‘THE COLOR’ since it was launched in the U.K. In 2004 I took my colour associate exams and passed at the level of master associate with honours. In 2008 I became a platform artist for Paul Mitchell and now work internationally educating on all aspects of hairdressing for Paul Mitchell and Salon Success. In October 2009 I left as a director of Topknots / Great Hairdressing and started the Grove Experience with my wife Giovanna this is a full concept Paul Mitchell experience salon in Grove Road in Eastbourne, we currently have a team of ten and are growing and going from strength to strength. 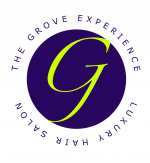 I am very proud of this new venture and the whole Grove Experience Team. In 2014 Gary became a State Registered Senior Hairdresser. In 2017 Gary became a Master Craftsman , State Registered. In 2018 I was very privileged to travel to Africa with the Coco’s Foundation to help build two houses for Orphaned children many of whom have HIV. this was an emotional rollercoaster of a trip, that I loved every minute of. International Paul Mitchell Artistic Team. I am so pleased I found this salon. I moved to Eastbourne last year and have been searching for a great hairdresser. I've had a couple of OK cuts until I visited Gary at at The Grove Experience and had a fabulous cut. I felt welcome and at ease in the salon, was treated to a lovely massage chair while I had my hair washed, and Gary was charming and clearly incredibly talented and experienced. I won't be going anywhere else.